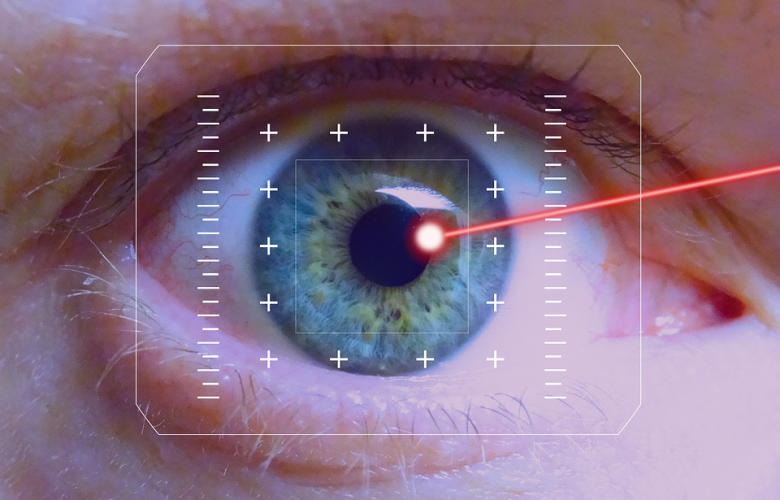 Has Laser Eye Surgery Worsened Your Eyesight? There are two different types of surgery that can be used to improve your eyesight, laser eye surgery and lens surgery. Lens surgery is often used when the patient cannot have laser eye surgery for some reason, such as cataracts, high astigmatism or a high eye prescription. It generally involves new lenses in your eye, when either one is added over the top of your existing lens or replaces it. The main difference with lens surgery and laser eye surgery is that lasers are also used when someone wants to improve their eyesight, rather than because they have a problem. Laser eye surgery can be done in three different treatments: Smile, Lasik, and surface laser treatments. They should all have similar results, improved eyesight and much less dependence on spectacles or contact lens. It is estimated that 100,000 laser eye surgery procedures are carried out in the UK each year, and that the majority of them are successful. But sometimes it goes wrong, and then your eyesight could be made worse. Quite often, when laser eye surgery goes wrong, the answer from the clinic or opticians where you had the procedure carried out is that they will do it again to correct it. They have just messed it up once, why should you trust them to do it a second time? Part of the problem is that you do not have to be a qualified surgeon to perform laser eye surgery. Several years ago, the Royal College of Ophthalmologists produced guidelines about what skills are needed for carrying out the procedure, and laying down rules for informing potential patients of any risks. Opposition from the industry meant these guidelines were watered down, but some guidance is better than none. As they are guidelines and not regulations though, they are often totally ignored. That is no help to you when your eyes have ended up worse than they were before the laser eye surgery. Most people have laser eye surgery so that they do not have to bother with glasses or contact lenses. Contact lenses in particular come with their own risks unless all the correct cleaning procedures and appropriate care is taken. Having laser eye surgery can make life so much easier, when it works. If it goes wrong, you may experience excessive tearing and watering of your eyes, the opposite effect which is known as dry eyes, pain from scratches on your cornea, worsened eyesight and in extreme cases, loss of eyesight. If any of these problems are the fault of the opticians or clinic that carried out your procedure, you may be entitled to make a compensation claim. This would come under the umbrella of a medical negligence claim and for this you need the help of the best medical negligence solicitors. The Medical Negligence Experts are just one example (you can find companies like this through a simple search of “medical negligence solicitors”) who have the expertise required to guide you through investigations associated with medical negligence. This can take a long time as the treatment you received has to be compared to the treatment another practitioner would have given you, as that is one of the medical claims UK rules. After laying out quite a large sum of money for your laser eye surgery, you could be concerned about the cost of using medical negligence lawyers. Medical negligence comes with the same rules as any other personal injury claims when it comes to financing them. From the turn of the last century, conditional fee agreements were introduced, and these very quickly became known as no win no fee, because that is exactly what it means. If your claim is unsuccessful, you do not pay our fees. Medical malpractice claims of all types are notoriously long winded, sometimes taking months or even years to be finalised. Using a no win no fee agreement means that you can afford to have the very best solicitors on your side, no matter how long the claim takes or what the outcome is. As with most things in British law, there is a timescale within which you need to get your claim started. In the case of medical negligence, it is three years after the treatment, and you have to be able to prove that either they made an avoidable mistake, or delivered below standard care. If their mistake or care caused you an injury, or made an existing condition worse, they should be held to account for their actions, and your claim will highlight their failings. The compensation you are awarded will vary depending on the amount of damage you have suffered, and can also be claimed to cover loss of earning or any extra expenses the medical negligence has caused. Why Should One Choose Timeless Skincare?